The South Adelaide Football Club wishes to inform its members and supporters that Garry Hocking has been appointed the Panthers new Senior Coach, following the departure of Brad Gotch to Collingwood in 2017. The Panthers moved swiftly to appoint highly credentialed Garry Hocking as our new Senior Coach for season 2017. 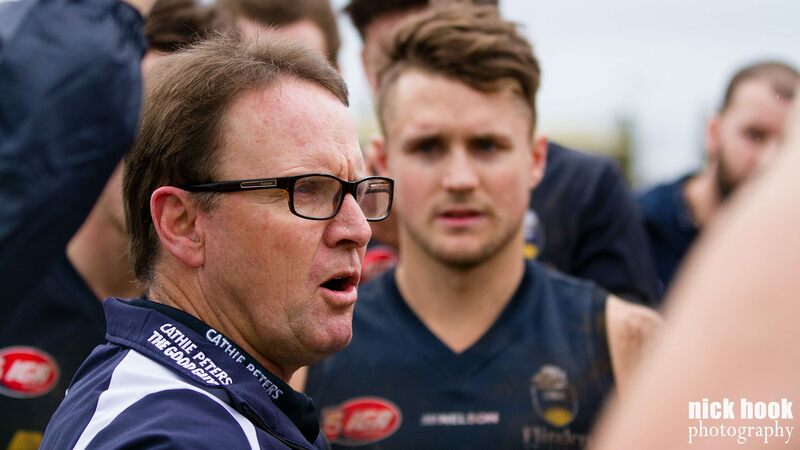 Hocking brings a wealth of coaching experience to South Adelaide, holding a coaching resume that includes roles with Western Jets, Peel Thunder, Geelong Falcons, Port Adelaide Power and Port Adelaide Magpies. Garry is also familiar with the SANFL competition, having coached Port Adelaide Magpies during their first two seasons as Port Adelaide's AFL affiliated SANFL side, including the 2014 SANFL Grand Final. Garry Hocking's playing career was illustrious. As a 274-game player for Geelong, he was also a four-time Best & Fairest winner with the Cats and a four-time All-Australian. He is also a member of the Australian Football Hall of Fame, Geelong Hall of Fame, Geelong Team of the Century. Brad Gotch, who has been at the helm of the Panthers since the 2014 season, informed the Club last week that he would accept an offer to join Collingwood in 2017. South Adelaide Football Club Chairman, Andrew Luckhurst-Smith praised Gotch for his positive contribution to the Panthers and declared the Club was not surprised that the AFL had coming calling for his services. "Brad Gotch has been a fantastic ambassador of the South Adelaide Football Club since his appointment as Senior Coach," Andrew said . "Whilst a Premiership remained elusive during Brad's tenure as Senior Coach, we believe his work has set the Club up for a sustainable period of success in the future. "It is sad to see someone of Brad's character and ability depart our Club, but we are not surprised that someone of his talent had been called upon by the AFL. 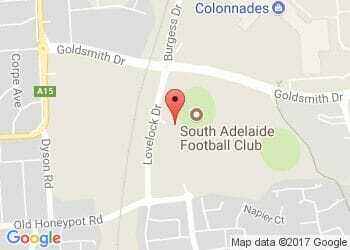 "On behalf of everyone at South Adelaide, I wish Brad and Michelle the very best in the future. Both have made a very positive impact on our Club. I am sure Brad will be successful in our national game wherever he plies his trade." Brad explained that being closer to his family in Victoria and the lure of returning to the AFL influenced his decision to leave South Adelaide, but also mentioned that he believes he is leaving a Club in a strong position to compete for years to come. "The main instigator to go back [to Victoria] was my family, but also the opportunity to get back into the AFL system," said Gotch. "I was previously a coach with Collingwood for eight years and was a part of two Grand Final sides and won a Premiership with its VFL affiliate Williamstown during my time there. "My decision to leave was a tough one, but was made a little bit easier by the fact I believe South Adelaide is really well placed for the future. They know what has to be done to achieve the ultimate success. "I will certainly miss the people. That will be the hardest thing. I've had a great affiliation with all the people at South and I couldn't have loved my three years with the Club any more than I did." After joining South Adelaide prior to the 2014 season, Gotch coached the Panthers to 36 wins, 22 losses and a draw, including Finals campaigns in 2014 and 2016.